For businesses that require enough loadspace for deliveries or to move stock, but don't want to have to guide a full-size panel van through busy city streets, the Citroen Nemo could well represent the perfect solution. 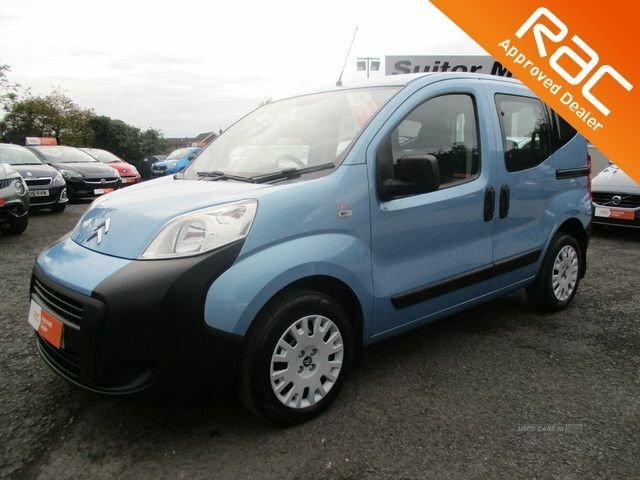 This compact van is easy to drive and affordable to run and could be just the answer if you're after a spacious, practical partner for your business. Take a look at the complete lineup of used Citroen Nemo vans for sale in Comber right now. At Suitor Motors we're proud to be able to offer a comprehensive selection of quality used vehicles, with models to suit all budgets and lifestyles. Contact a member of the team today to find out more. Finance is available to UK residents aged 18 years or older, subject to status. Terms & Conditions apply. Indemnities may be required. Other finance offers may be available but cannot be used in conjunction with this offer. We work with a number of carefully selected credit providers who may be able to offer you finance for your purchase, commission may be received. We are only able to offer finance products from these providers. Postal Address: Suitor Motors , 31 Mill Street, Comber, Down BT23 5EG. Find contact details here.